University of Benin (UNIBEN) Acceptance Fee Payment Amount and Guidelines for Fresh / Newly Admitted Students for 2018/2019 Academic Session. This is to inform all the UTME and Direct Entry candidates offered provisional admission into the University of Benin (UNIBEN) for the 2018/2019 academic session that the amount they are required to pay as acceptance fee has been released. 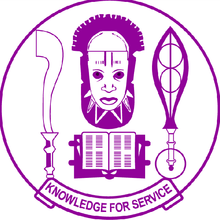 Also Read: UNIBEN Merit Admission List for 2018/2019 Academic Session. Recommended: UNIBEN Hostel Accommodation / Booking Payment Guidelines 2018/2019.